A newly-appointed political correspondent secured a one-to-one interview with Prime Minister David Cameron on her first day in the job. 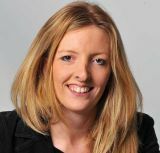 Annabelle Dickson, left, has been appointed as political correspondent for Archant Anglia following the departure of Joe Watts, who moved to join the London Evening Standard’s political team earlier this year. During the interview, Annabelle quizzed the Prime Minister on issues such as the failing East of England Ambulance Trust and the worrying state of attainment among schoolchildren in Suffolk. Her story on ambulance response times made the front page splash for the East Anglian Daily Times and her stories featured prominently in other daily sister titles in Norfolk and Suffolk – the Ipswich Star, Norwich Evening News and Eastern Daily Press. Annabelle said: “It was really exciting to start my new job on the day Ipswich was at the centre of the biggest political story of the moment. Annabelle previously worked at Archant Norfolk for five years, finishing on the Norwich business desk, before moving to the Press Association for a few months until returning to her new role. Terry Hunt, Archant Suffolk editor-in-chief, said: “What a first day in a new job. It doesn’t come much better or bigger than an interview with Britain’s top politician. Archant Norfolk editor-in-chief Nigel Pickover said: “I was thrilled to appoint Annabelle in to her new role and see her return to Archant.